Don’t ever drive around with low tires pressures again with the Mustang Tire Pressure Monitoring System Sensors! Your Tire Pressure Monitoring System (TPMS) alerts you when the pressure drops to an unsafe limit. 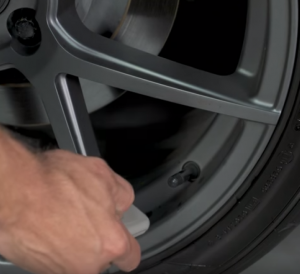 This a great safety feature, but if you plan on upgrading to a new set of rims you will need to install new sensors in your new wheels, if not you will have an annoying dash light constantly reminding you that your sensors are missing – this set of four replacement TPMS sensors will take care of the issue.